The spiritual leader of Boko Haram and alleged mastermind of the 2013 terror attack on the Government Secondary School, Mamudo in Yobe State has been captured, the Department of State Service (DSS) announced yesterday. A statement signed by its spokesman, Tony Opuiyo, said Mudaisiru Jibrin, the spiritual leader of the Islamist sect, was arrested in Kano on August 17, three years after he allegedly coordinated the killing of 42 people, mostly students and teachers, of the secondary school. The operation was in furtherance of ongoing tactical and counter-terrorism operations to degrade the capabilities of criminal gangs and syndicates in their hideouts across the federation, the DSS said. 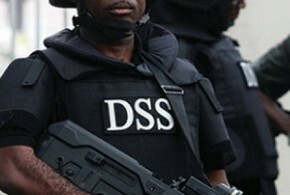 The DSS said Jibrin was arrested in the Yankaba neighbourhood in Kano, where he was operating as a spiritual leader for a new Boko Haram sleeper cell.